Finders International is an award-winning probate research firm and we have worked hard to gain certification and recognition based on the thorough training and stringent procedures we operate. 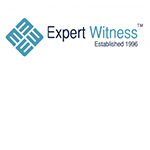 Our credentials, regulation, accreditations & memberships are all beneficial to the world of missing beneficiary tracing and more widely in reassuring our clients that we are a genuine professional forensic genealogy firm. Anyone engaging with us should have peace of mind that Finders International’s services are trustworthy, secure, positive and beneficial. Finders have been awarded the ISO/IEC 27001 Certification for Information Security Management Systems. We have been vetted and approved by local government Trading Standards and are a Primary Authority Partner. You can find our partnership information by going to the government website at https://primary-authority.beis.gov.uk/par and searching for Finders. Finders International are proud to be the first Probate Research firm to become Friends Against Scams. Heir Hunters became well known through the BBC TV series, and Finders wish to remain vigilant and responsible in proving their credentials is backed by their commitment to Friends Against Scams. 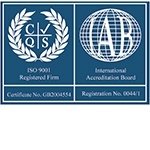 Finders International is the first probate research company to become an approved Corporate Affiliate Member of the CTSI. Membership is for businesses who support and promote CTSI's aims and values. It is for those who are concerned about customers, want to help their customers and staff by providing the information they need and promote good business practices. Information Commissioners Office. Our Data protection registration number is Z6654345. The APG is a globally recognised association for genealogists. We have more members than any other European firm. We are the longest-standing supplier of AVIVA online policies in our industry. 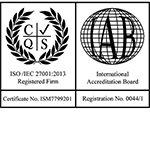 Finders International are Internet Crystal Clear Mark holders. Many of our staff have trained as Dementia Friends and we are proud to be the only UK Probate Research Firm training staff to support this initiative. 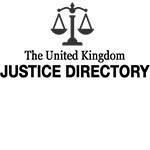 An independent directory of approved National Expert Witness Agency, listing Daniel Curran, director of Finders and Simonne Llewellyn, Deputy Director of Finders. Customers can pay for our services by credit or debit card by phone with complete confidence that our systems are secure. Finders logos are registered under Trademark Number 2411095. To check our Trademarks click the link above, enter our Trademark number and click ‘Submit’. Authorised and regulated by the Financial Conduct Authority for AVIVA insurance business. Search the FCA register using our membership number: 310772. The UK government tax applied to sales and services within the European Union. Our VAT registration number is 232 2694 21 which be verified on the European Commission website. The government office where companies are registered. Our company registration number is 3501521. You will need to search under our company number or name FINDERS GENEALOGISTS LIMITED to find our entry on this website.